Join us for a special event at the Guild to remember this important event in newspaper and union history. We will have a new video documenting the 11-day strike and special guests (rumor has it that a couple harmonicas might come out). This reception is November 14 from 6 pm to 8 pm at the Guild. 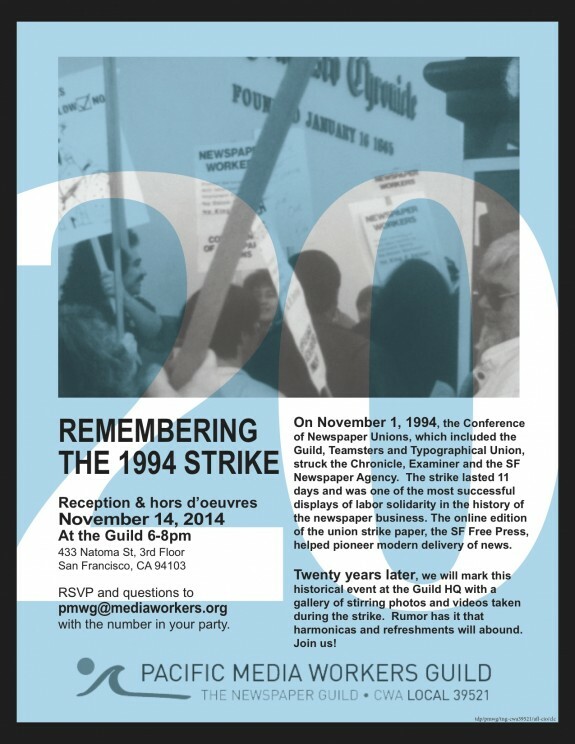 Please rsvp to pmwg@mediaworkers.org.